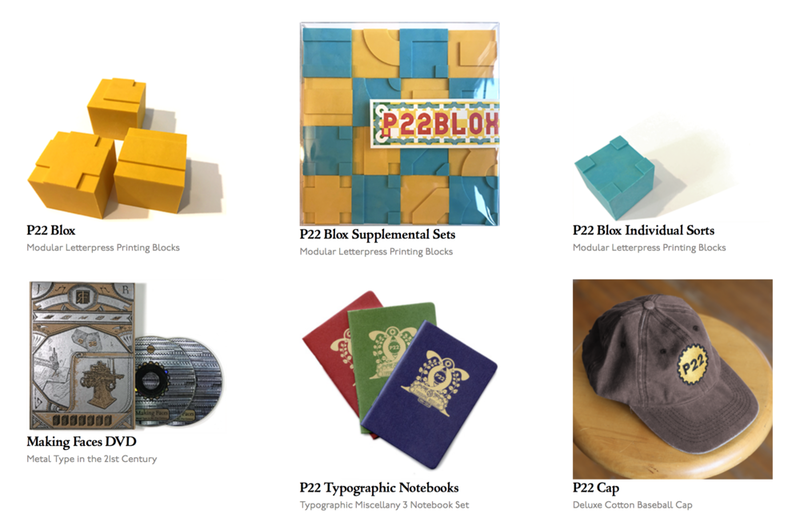 Welcome to the launch of P22 Analog, a new division of P22 Type Foundry, focused on non-digital approaches to typography, design and the history of letterpress printing. P22 Blox, a modular system for creating letterforms and patterns, was creating with the help of a successfull Kickstarter campaign which made the prohibitive expense of mold making for plastic injection molding possible. The Kickstarer rewards have been delivered and we are starting to see the results of creative letterpress work that various printers are doing with them. While currently sold out, we will run another batch of Blox later in 2016. If you would like to be notified about when you can order, please send a message via our Contact page.